The Casual Pint is a craft beer market with a bar inside. The sheer number of taps and the placement of the walk-in cooler directly behind the tap wall, lessening the distance from keg to glass, is only one aspect of what makes Casual Pint unique. 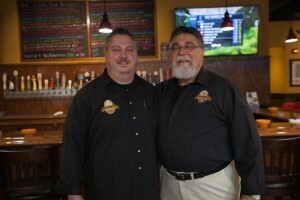 Jon and Nathan (a father and son team) built The Casual Pint with the vision of franchising eventually. Originally, these entrepreneurs planned to build four corporate stores before franchising. After building their second store, they quickly realized that franchising sooner rather than later would save them time and money and was the best course for growing The Casual Pint. Franchise Innovation Group began the engagement process with a feasibility study. Our team concluded that The Casual Pint Craft Beer Market was indeed a viable franchise, with a unique twist, in the fast-growing craft beer market. 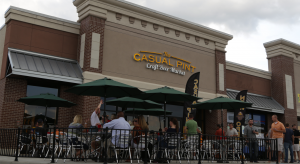 The Casual Pint's official franchise launch was October 2013. Our team’s projected franchise sales for the first three-years was 24 units. As of 1st quarter 2016, 34 Casual Pint units have been sold, far exceeding projected sales.